Compendiums have been around for a long time. Few Christmas'went by without one turning up amongst the presents They usually looked cheap and were played with a few times and then put m a cupboard and forgotten about. 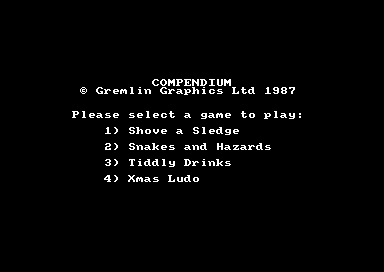 Now you can play some of those old games in a slightly modified form on your computer. 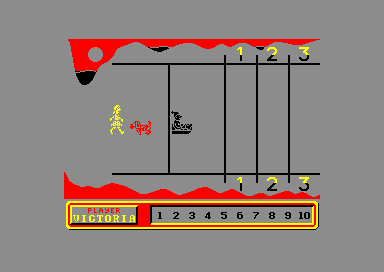 Up to four people can take part in the game with each player being represented by a member of the Wink family There are four games in the box: Ludo, Snakes and Hazards, Shove-a-Sledge and Tiddly Drinks. 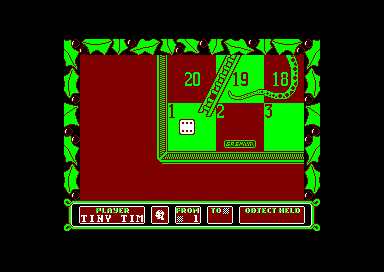 Ludo and Snakes and Hazards are the standard games with only minor differences. In both games the pieces used are Ralph. Victoria, Tiny Tim and Sniffer. The differences being that if you bump into one of other any other character on the board your turn will end and the next players begins. 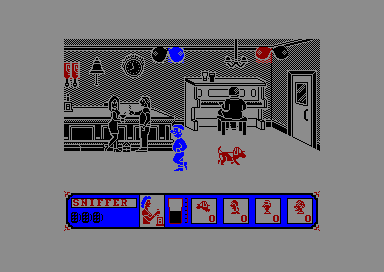 In Snakes and Hazards there are also some objects that stop your movement because your piece likes it, Sniffer the dog likes lampposts and bones for example. 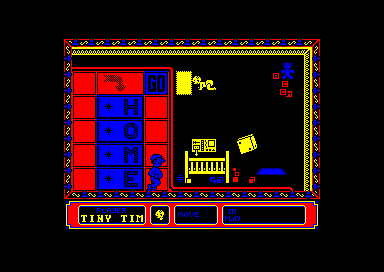 In Shove-a-Sledge you push Tiny Tim on a sledge and try to make him stop in each of ten different zones in the snow. 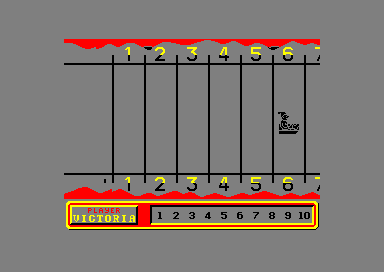 The first player to stop him in all ten zones wins the game. In Tiddly Drinks the family is in the local pub. Dad is out on a drinking spree and you have to catch the glasses that he throws into the air - after draining them of the contents. The winner is the one that caught most glasses by closing time. Every game has at least one tune. They're all very good and it makes a change for a game to have such variety in the music. The graphics are a little simple, but they do their job well enough in showing what's going on. This is definitely a game that only young players will find enjoyable There's so little skill needed and such a lot of luck that it provides virtually no challenge.